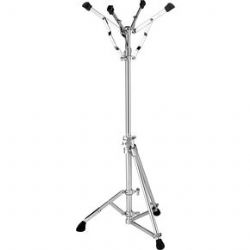 If you are looking for a bass stand for your instrument investment, this is the one. Sturdy, adjustable and light for carrying to the games or practice. Basket design allows you to securely place your bass for playing or keeping it off of the ground on wet days (or keeping pipers from falling over it).